Show off your fun and flirty side while wearing this stunning Mori Lee A-line dress 43015. A halter neckline is placed along the embellished bodice, which gleams effortlessly under the lights. A sheer mesh inset is placed along the cut out on the bust as a beaded belt hugs your waistline and shows off your figure. 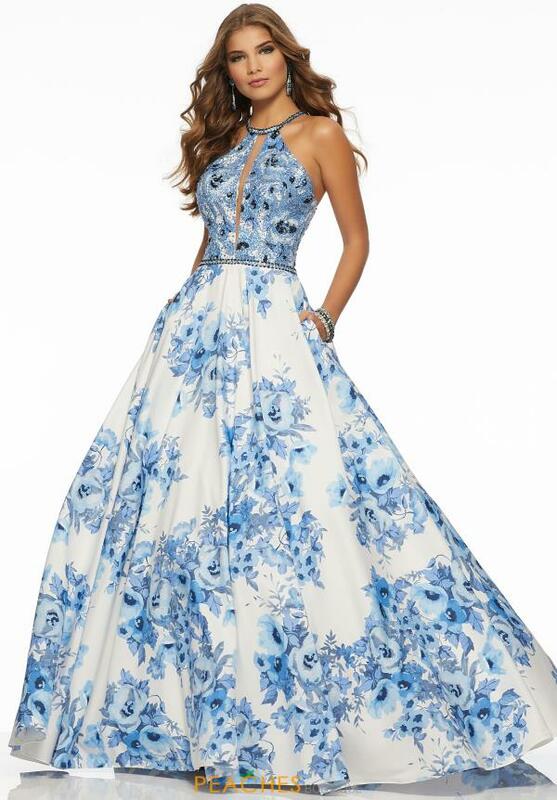 An A-line skirt features pockets as a breathtaking floral patterning is featured throughout.